In 2005 during Minister Kader Asmal's sweeping reconfiguration of the higher education system, the Medical University of Southern Africa (Medunsa) was merged with the University of the North, located some 300 plus km away, to form the University of Limpopo (UL). At the time, there was talk - patently nonsensical - of relocating Medunsa lock, stock and barrel to Polokwane. The merger raised many eyebrows, and was widely seen as irrational and ill-conceived. Indeed, the arranged marriage proved to be extremely difficult with too many irreconcilable differences. Then on 26 May 2011, Minister of Higher Education and Training Dr Blade Nzimande publicly announced that the controversial merger would be reversed, saying 'I have agreed with Minister Motsoaledi that we must undo this merger and re-establish Medunsa as a stand-alone medical university, and also proceed to work towards the establishment of a medical school in line with the President's announcement of the establishment of an academic health complex in Polokwane.' Medunsa would be reconstituted as a new stand-alone institution exclusively dedicated to the training of a wide spectrum of human resources for health. The dissolution of the merger has not yet been gazetted, and the specifics surrounding what will become South Africa's newest university therefore remain unclear. What is clear, however, is that the divorce will be complex and costly, and will require a carefully planned and soberly managed transition, particularly with regard to the untangling of governance and financial interdependencies, the setting up of new administrative structures, and the re-ordering of systems such as ICT, academic regulations and staff conditions of service. In time, Medunsa can help mitigate the funding conundrum by broadening the spread of its offerings in the health sciences, increasing student intakes across all professional programmes, significantly improving its research output, and increasing its postgraduate capacity. The catch lies in being able to attract and retain staff with solid academic and research credentials, something with which Medunsa (along with some of the other historically disadvantaged universities) has struggled. The new state-of-the-art academic hospital for Medunsa envisaged by Minister of Health Dr Aaron Motsoaledi will no doubt serve as a magnet in the recruitment of high-calibre staff. But absolutely critical though it is, funding will not be Medunsa's only Achilles heel. The bigger threat to the new university lurks within the institution. Medunsa is an institution frequently at war with itself. Even before the merger of 2005, Medunsa was already beset with frequent internal conflict between the students and the university, and sometimes within the university management itself, including notable instances of acrimonious jostling over leadership positions. As noted by SAMA in its plea to save Medunsa from total collapse, 'Student boycotts and strikes have become more than an annual ritual at Medunsa; they have been entrenched into a strong culture and tradition. It is time to break this vicious cycle.' To break that cycle will require that there be agreed institutional hierarchies and boundaries, and agreed protocols for the resolution of disputes. Unfortunately, it is a sad fact that in the prevailing political environment, students have come to wield disproportionate and virtually unchecked power in the life of many universities, including Medunsa. Their use of intimidation, tyre burning and sundry violence to get their way has come to be accepted as a norm, with little or no condemnation or sanction from those in authority in society or in the government. That said, all of South Africa will wish Medunsa nothing less than a bright and successful future in an environment of institutional stability and academic excellence. 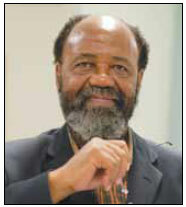 Medunsa's history has had its peaks and valleys since the university's founding in 1976. But like other academic institutions that began as creations of the apartheid ideology, Medunsa transcended and repudiated those origins to become a politically and academically credible institution that has contributed more black professionals to the health system than any other. However, Medunsa would do well to start its new lease on life with a series of externally mediated, earnest and frank internal stakeholder conversations, be they in the form of workshops, retreats or teach-ins, to critically review the past and constructively sketch the future. The conversations should begin with identifying and acknowledging the things that have gone wrong in the past, and should seek to repair broken stakeholder relationships. There should be renewed agreement on a new vision and mission, and agreed mechanisms to deal with future conflicts. Such a move would be in the spirit of the call by SAMA to 'all stake-holders; the SRC and the entire student population, the university management and Council, the Department of Health, the Department of Higher Education ... to spare no energy, waste no time nor withhold a cent in saving Medunsa from total collapse'.